Al Pacino has specialized in playing actual people for HBO films, from Roy Cohen to Phil Spector, Jack Kavorkian and now Joe Paterno, in an understated and effective portrayal of the beloved Penn State coach whose image was tarnished by its proximity to the considerable claims of sexual misconduct of his former defensive coordinator, Jerry Sandusky. In making films about actual people “we don’t make a replica, but we try to see if we can come close to a sense of the character,” Pacino says. Speaking to reporters at the TV Critics Association winter press tour earlier this year in California from New York, where was he preparing to portray Tennessee Williams. Portraying actual people, is something he’s done “throughout my life, though,” he says. “I think of ‘Serpico,’” the 1973 film about a whistleblowing cop. 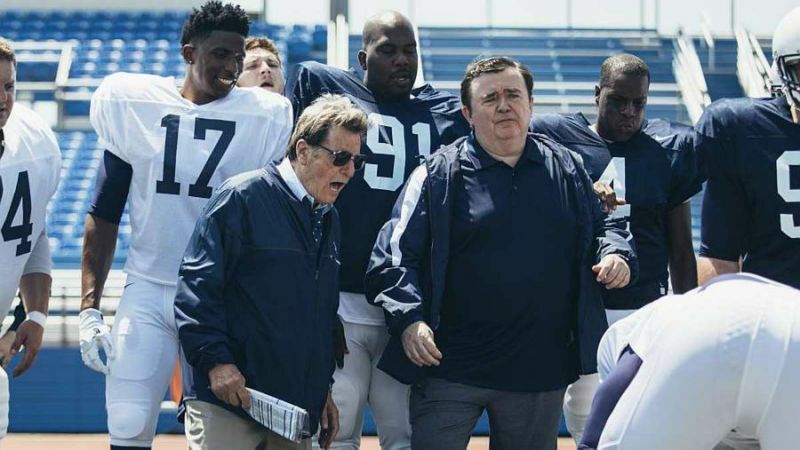 The central question is how Pacino played Paterno: as someone who knew what was going on, or someone who did not. He did make a decision on that, he said. But he continued to work on it. “As you continue to work on something, you learn as you go because you have a certain amount of time,” Pacino said. “But you absorb the role, and it starts to speak to you and tell you. In one key scene, Paterno recalls a time when his own kids were in the pool with Sandusky — how could he have known if he allowed that? On the other hand, Paterno was so focused on football, he never allowed himself to look. “I’ll tell you the truth. I found out as I went along, playing the character, how I thought he might have felt about it and how he might have dealt with it,” Pacino says. This entry was posted in Television, What's On TV, Winter Press Tour 2018. Bookmark the permalink. Both comments and trackbacks are currently closed.